We are here today, on the international day against racism, to fight together, to celebrate our unity together, to exchange our experiences together. The racism we fight against has many faces: it lurks in the structures, in the daily life, in the state offices and on the street. In the normalisation of deportations, of the lager-system, of racist incitement and attacks against non-white people. Racism was always here, and is only becoming more socially acceptable. In Cologne racism was used to silence the problem of sexual violence and sweep it under the carpet. The racist party AfD is gaining power in the elections while its supporters from the heart of the society are storming the streets in growing numbers. Residences for refugees are burning all over the country. In the Mediterranean people continue to drown while Germany and the EU sign lucrative deals with Turkey to keep those people away from the fortress Europe. Sayings such as “They can´t all come here” become more and more legitimate, even from so called left perspectives. The global and historical contexts of capitalism and colonialism are ignored. In the internal German discourse refugees are being used from all sides for political and ideological means. While the right for asylum is granted only selectively, the masses are being persuaded of a “welcoming culture” which serves to reduce refugees to mere victims, in order to disguise the real reasons of flight and to serve the historical german guilt complex. In this way “Good” refugees are being distinguished from “bad” refugees. From other sides refugees are being incited against with use of anti-muslim stereotypes, as in the case of the Zionist organisation AJC, which sent a worker to the refugee residence in Tempelhof, in order to provoke refugees with the help of the magazine “Die Welt” und to defame them as antisemites, just because they long for their homeland in Palestine. People and institutions who work in solidarity with Palestine are being systematically put under pressure and pitted against each other in order to break down the solidarity with Palestine. When we speak about refugees, we also speak about the 7 million Palestinian refugees, who still, since the Nakba of 1948, the beginning of the displacement of the population of Palestine, are living as stateless people in refugee camps and await their return. We also speak about the unconditional support of Germany for a colonialist regime which is still perpetrating massive military attacks, oppression and discrimination against the Palestinian population. We also speak about a political hegemony here in this country, which tries to ban and silence any mere mention of such facts. The fight against racism means to always, but especially on the international day against racism, speak up for Palestine. 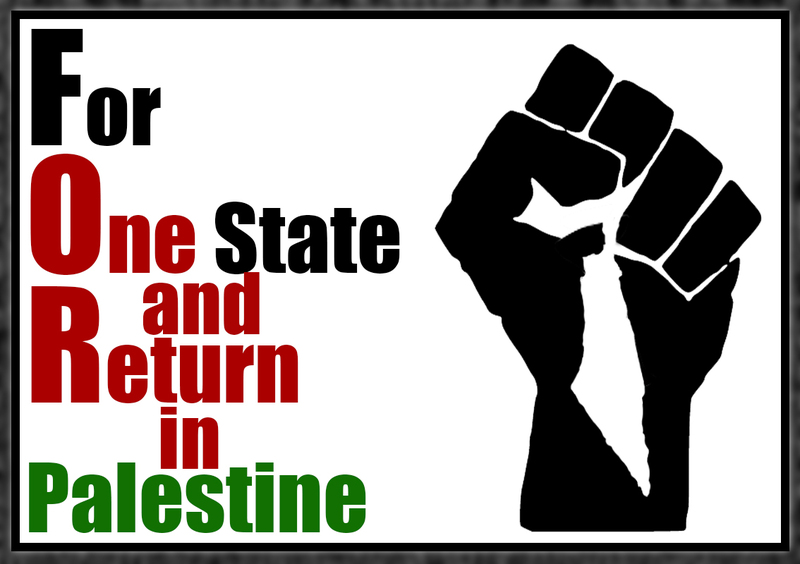 It means to take a stand against the racist discrimination of the Zionist apartheid regime and to resist it. Solidarity with refugees presupposes solidarity with Palestine. In Germany, in Palestine, and everywhere.